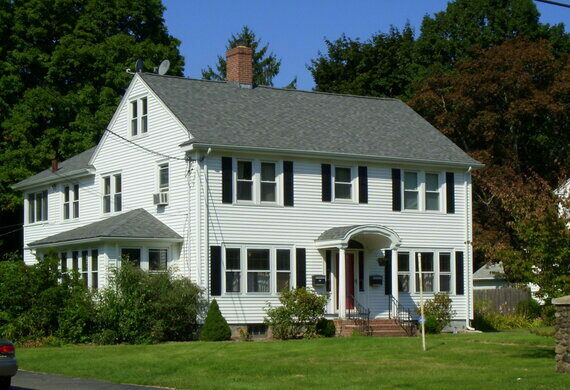 In 1986, the Snedeker family (Allen and Carmen, and their three sons, daughter, and two nieces) moved into a simple white duplex rental home in Southington, CT, that had at one time had been a funeral home. In the basement, they found various mortuary toys, including a hoisting apparatus for coffins, a medical gurney, blood drains, and toe tags. Soon enough, the Snedekers were reporting all kinds of evil, including sexual attacks, apparitions, and abrupt, violent personality changes in the oldest son, who was undergoing treatments for Hodgkin’s disease. Ed and Lorraine Warren, the Connecticut demonologists who were involved in the infamous Amityville Horror case, investigated the house and officially proclaimed it “possessed,” and then launched a major media campaign around it. Eventually, other facts emerged, including the troubled nature of the oldest son, who besides having a drug habit, was diagnosed with schizophrenia and admitted to some of the vileness going on in the Snedeker household. In addition, during the entire time the pandemonium was in full swing, the upstairs neighbor lived without incident. Most damning is the testimony of the author hired to write the original book for the Warrens and Snedekers, Ray Garton. Garton eventually went on the record that not only was he given conflicting stories from the Snedekers, he was given directions to ignore those conflicts and sensationalize the story. That didn’t stop the story from being popular. In 2002, the Snedeker case resurfaced when a documentary on the events aired on television. In 2009, it was popularized again when the film “The Haunting in Connecticut” was released to theaters. The Snedekers moved out of the house a long time ago, and no reports of supernatural activity have been reported from any of the subsequent owners. There is no good place to park at the house. You can park in the town and walk down if you want, but it is a private residence. Do not trespass. Only observe from the street. Things that shall be done.